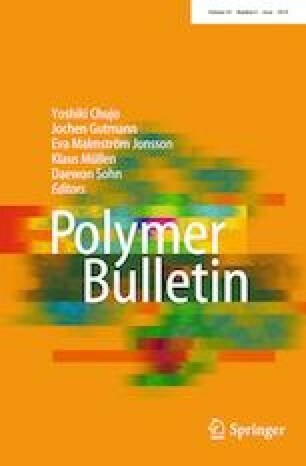 In this article, the hollow glass microsphere (HGS)/polyethylene glycol (PEG) composites were prepared as form-stable phase change materials (FSPCMs) for thermal energy storage (TES) via direct impregnation method. In the prepared composites, the PEG functioned as phase change substance and the HGS acted as supporting materials, which will prevent the leakage of PEG in phase change process. The chemical structure, surface morphology, crystalline properties, phase change properties, thermal reliability and stability of obtained composites were extensively studied by Fourier transform infrared spectroscopy (FTIR), scanning electron microscope (SEM), X-ray diffraction (XRD), differential scanning calorimetry (DSC), thermal cycling test and thermogravimetric analysis. FTIR spectra showed that there was no chemical reaction between HGS and PEG. The SEM images exhibited that the special structure and large surface of HGS had the ability of preventing the leakage of the melting PEG. XRD and DSC curves demonstrated the good crystalline properties of prepared composites with latent heat reach up to 124.8 J/g. Meanwhile, the prepared composites had excellent thermal reliability and stability. The prepared composites can be used as FSPCMs and have great potential in TES.